Puzzled stencil using the customer supplied drawing. The material is 7mil tacky back reusable mylar. Exterior dimensions are 52" x 8". Interior dimensions are 48" x 4" which will leave a 2" border. 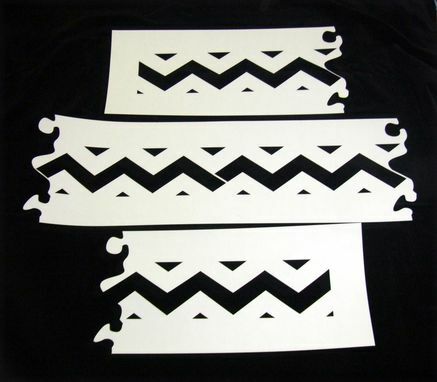 The stencil is made in three sections which are puzzled and taped together to achieve the final length. Most any drawing can be made into a stencil.